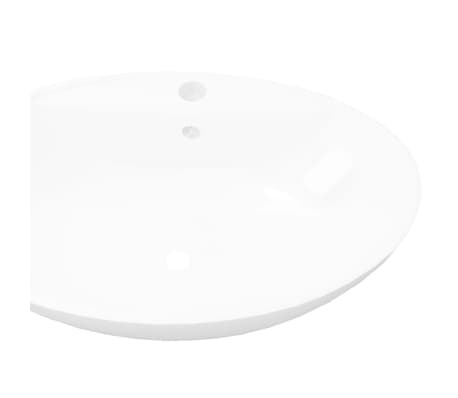 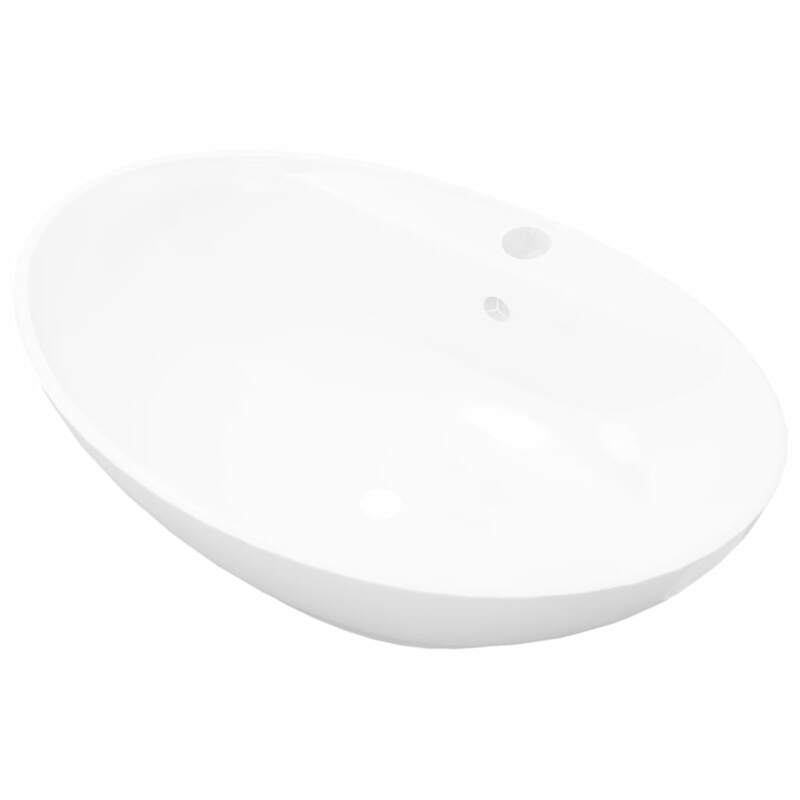 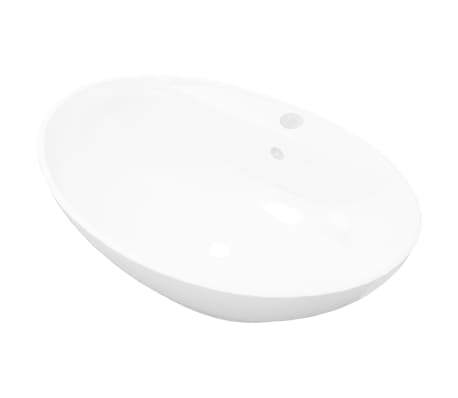 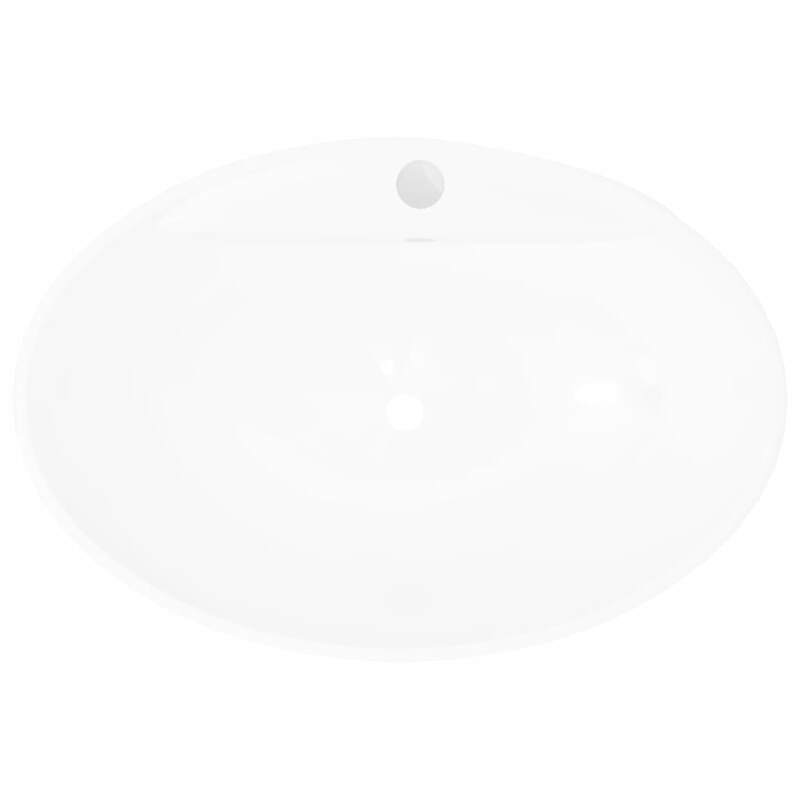 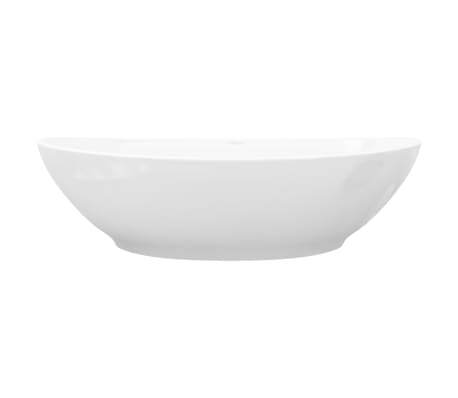 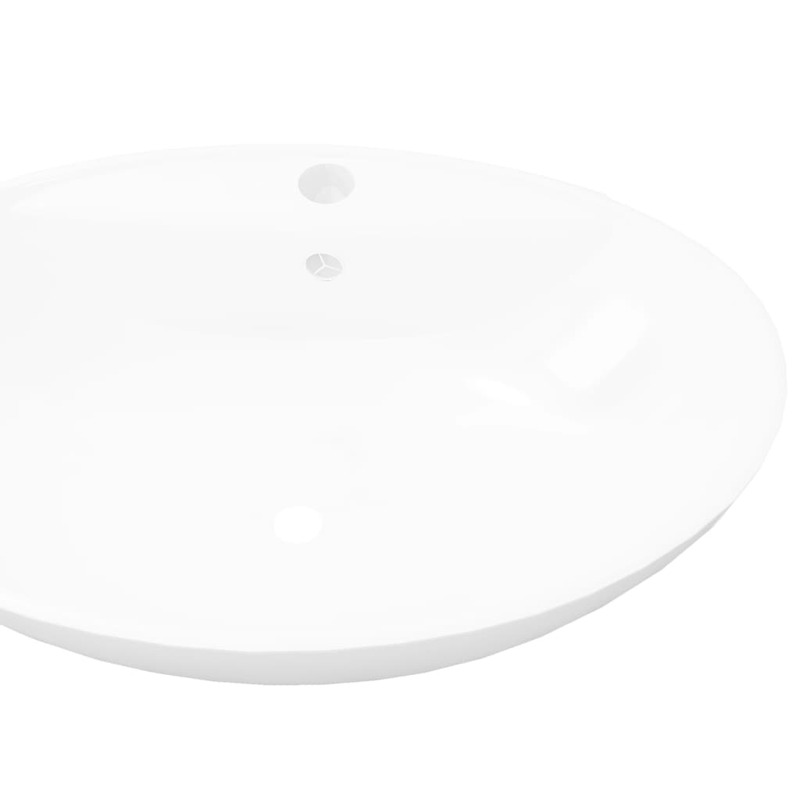 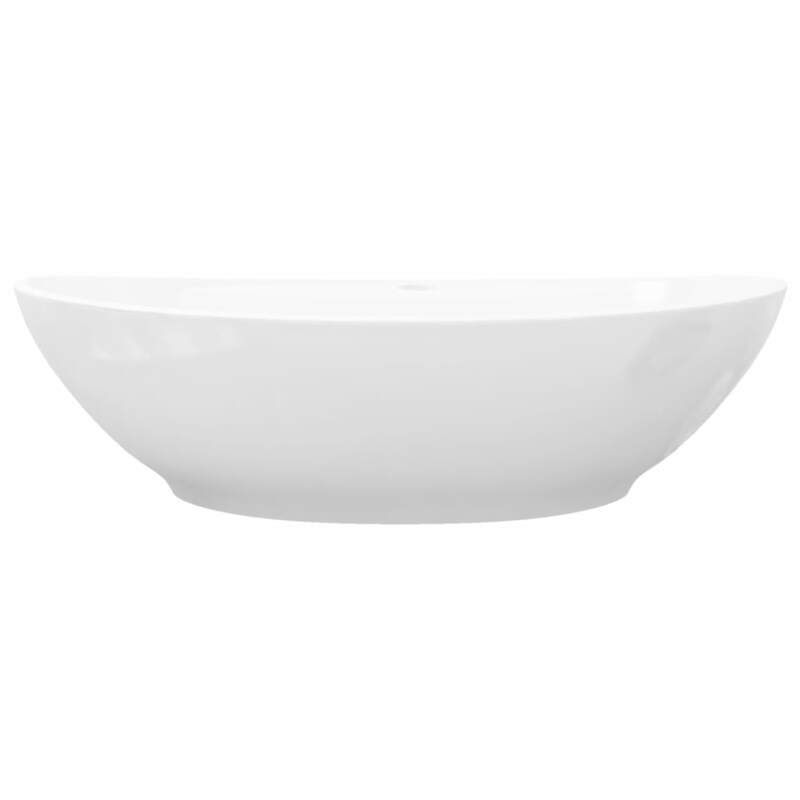 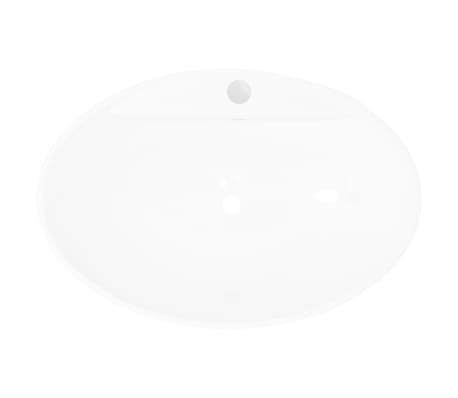 This oval wash basin, made of premium ceramic, will be a stylish addition to any bathroom, washroom or powder room. Its high gloss finish brings a modern yet elegant design. An overflow is equipped to flow water out when it gets too full. 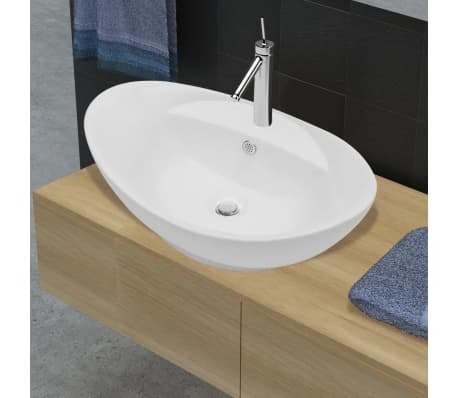 A 3,5 cm faucet hole is included to install a tap. 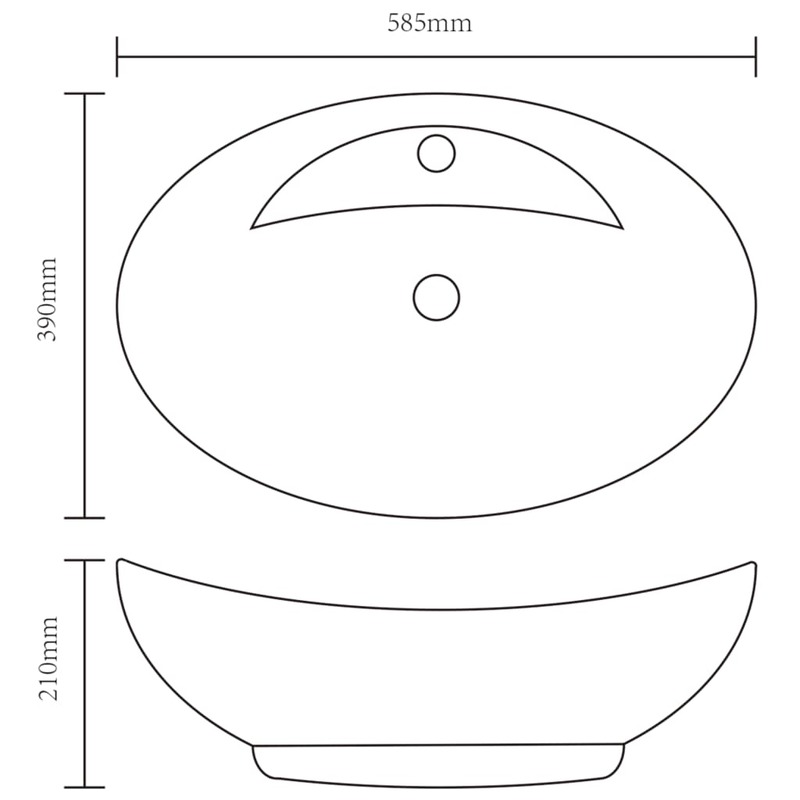 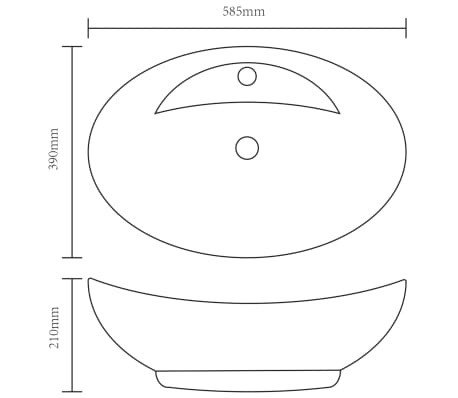 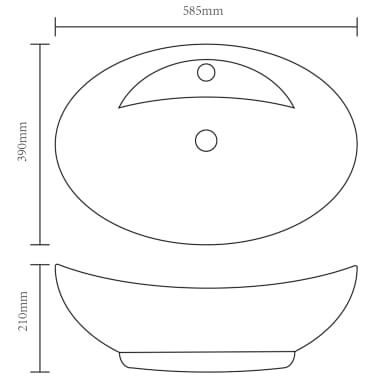 The drain hole is 4,5 cm in diameter. 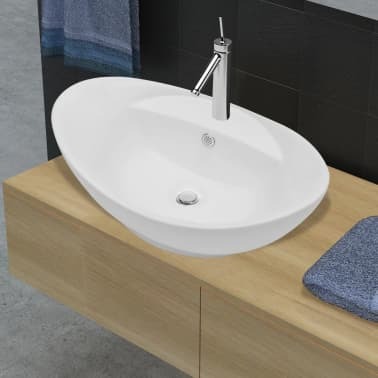 Please note that the tap and the drain are not included in delivery.